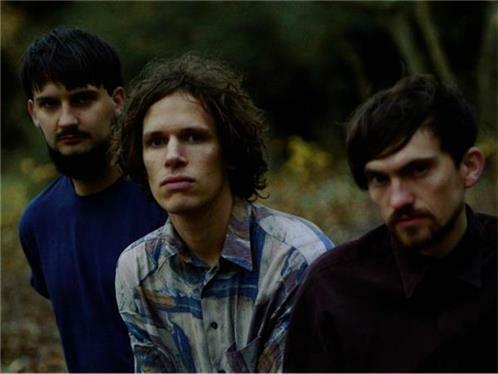 SHY NATURE are an alternative rock band from London. The distinctive, delicate vocals of singer William Blackaby contrast an urgent mix of jangly guitars and rasping organ: drawing inspiration from timeless 60s songwriting to New York garage groups. After forming in early 2013, in May they released debut track 'Deadly Sin, a flurry of starry-eyed guitars and wild-eyed choruses (DIY) which received national airplay from multiple BBC Radio 1 DJs, and propelled them to support The Breeders at a sold-out, 2000+ capacity Forum in London for only their sixth live show. A self-titled debut EP in late 2013 caught the attention of NME, who said though the likes of Sinking Ship and Washout are soft and tender, live theyre much more raw and Record Collector, whose 4 star review praised the bands knack for song-craft. Marking the release with a series of self-produced music videos and live acoustic performances, they followed up with the announcement of a first UK headline tour in early 2014, in support of new single 'Lie Back. Released on Kissability in early 2014, 'Lie Back earned further support from BBC Radio 1 and 6 Music, and a feature as The Guardians new band of the day: at their best, Shy Natures songs are at that level beyond exuberant: exultant. The summer 2014 release of free download 'She Comes She Goes a highlight of the rising London quartets live sets (NME) led to appearances at various UK festivals, including BBC Radio 1s Big Weekend, Field Day London and The Great Escape. The track featured on their second EP 'Birthday Club, released on Just Off Pop in November before the band closed the year with an international performance for Burberry in China. Following the vinyl release of 'Birthday Club in February, 2015 has primarily been a year of extended writing and recording, with the band retreating to the studio. A series of support appearances with Idlewild in December 2015 marked the beginning of their return, with a debut-full length and further live dates expected in 2016.